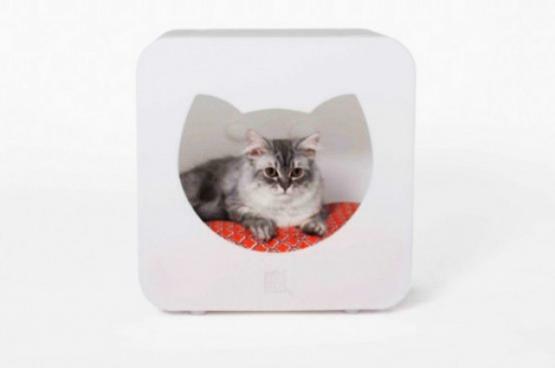 Modern cats and dogs enjoy beautiful homes. 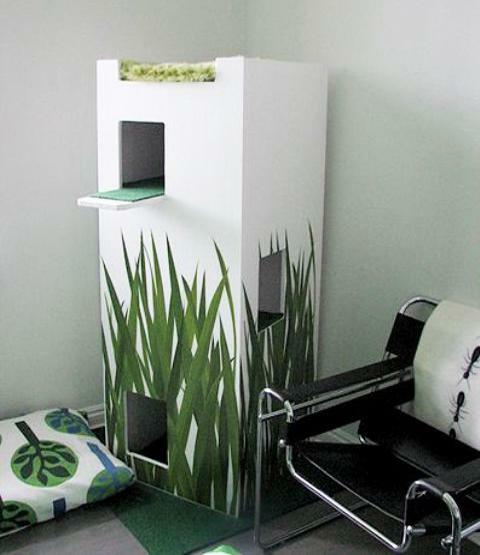 Creative pet house design ideas provide them attractive and cozy private spaces while pleasing their owners eye. 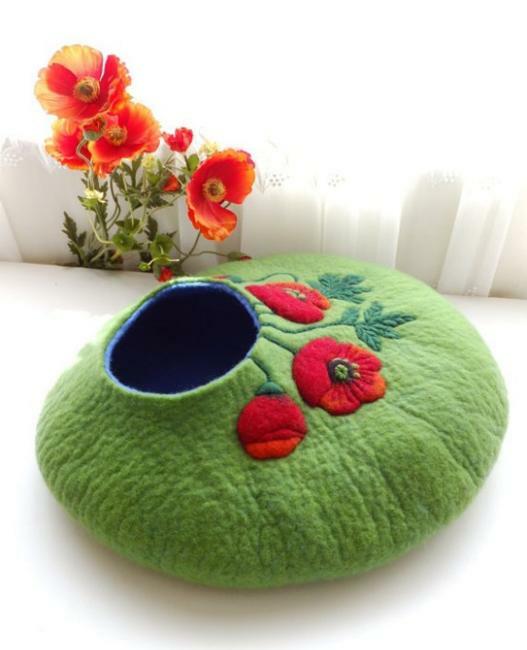 Pet beds and cat trees, outdoor and indoor dog houses and smaller cat houses in various styles get decorated by pets owners in a creative and beautiful way. 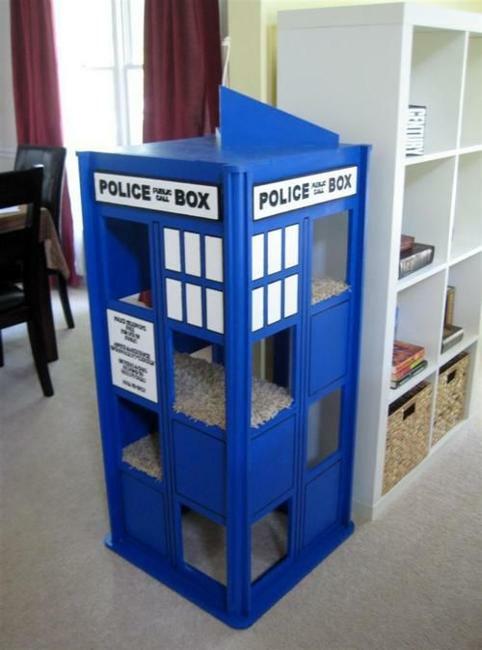 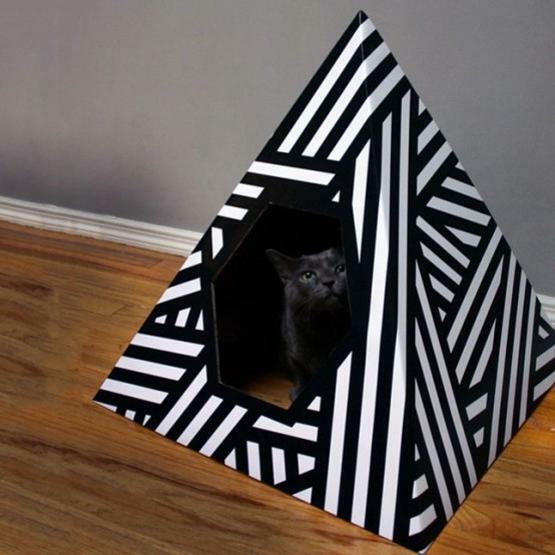 Lushome shares a collection of modern pet houses that can inspire DIY projects and craft ideas. 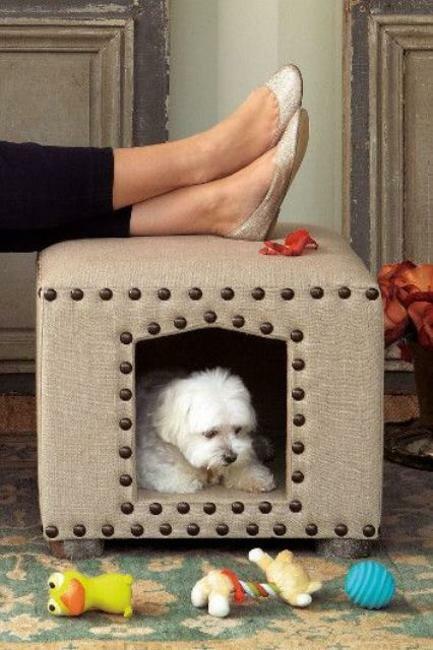 Dogs love to feel warm and comfortable. 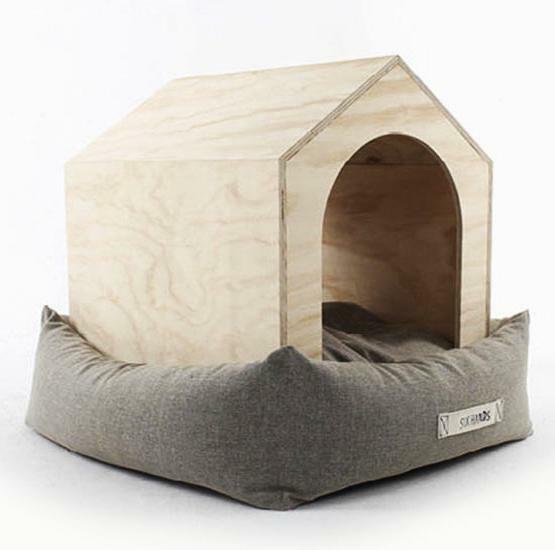 Indoor dog house designs with large thick cushions are ideal for them. 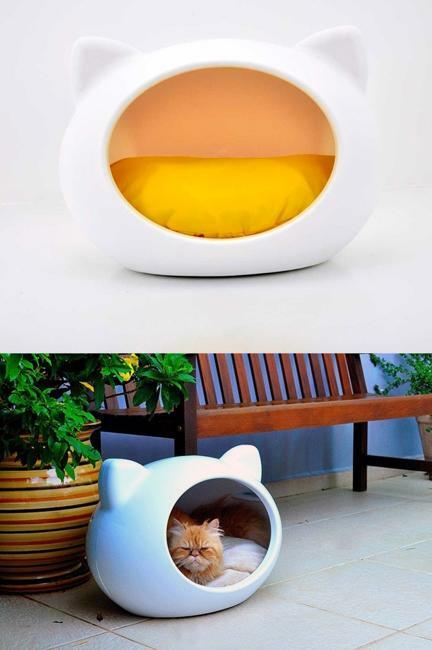 Cats need a cozy design. 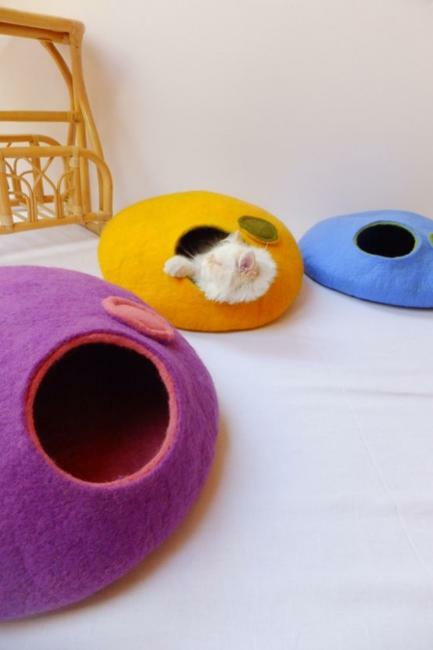 Pet beds for cats and cat houses are smaller, but not less comfortable. 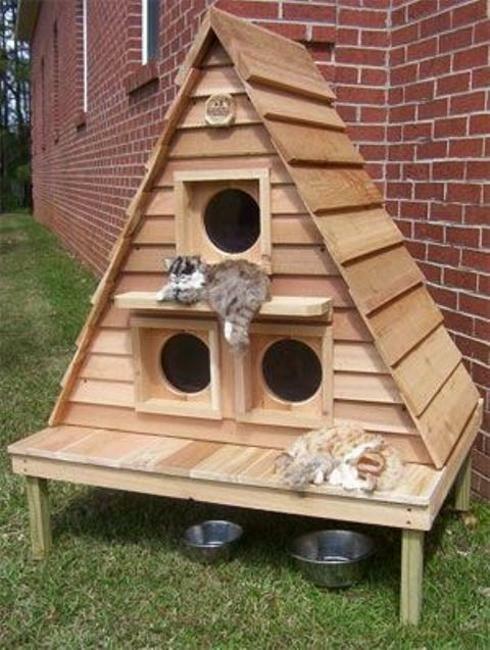 Here are creative and attractive cats and dogs house designs that are functional and unique, beautiful and inviting. 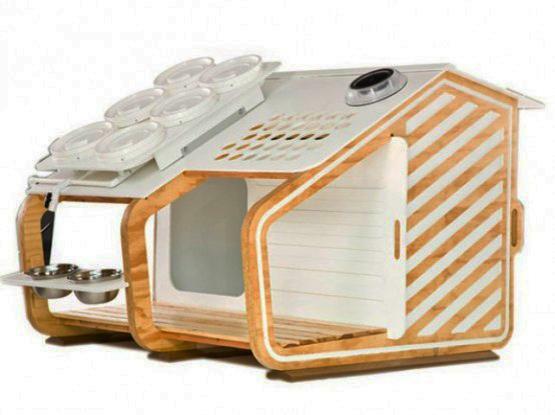 Many of pet house designs can be created at home recycling various materials, from salvaged wood to fabrics, cardboard, leather and plastic. 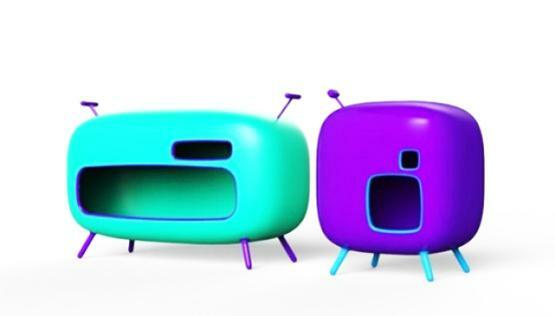 Unusual shapes and exciting forms turn these outdoor and indoor dog house designs into home decorations. 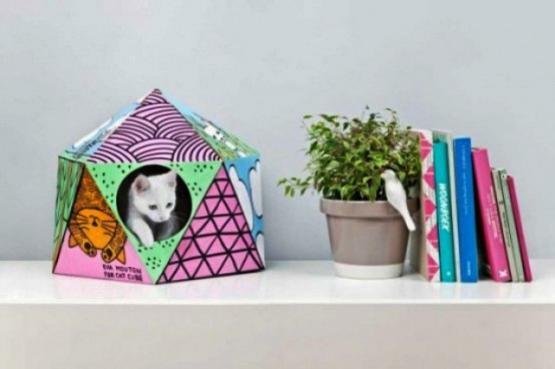 Bright colors and cute details make cat houses look so charming. 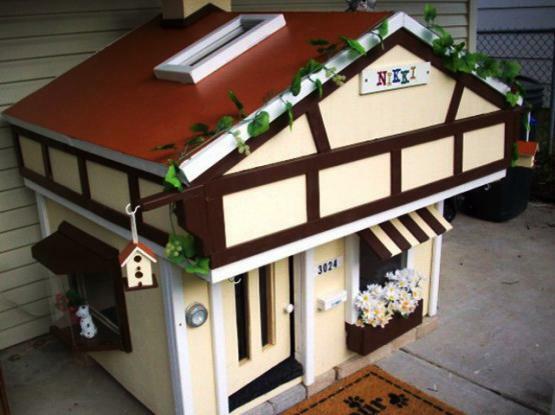 Pet house design ideas vary in sizes, materials, shapes, colors and styles to match any home decor and compliment existing exterior and interior decorating color combinations. 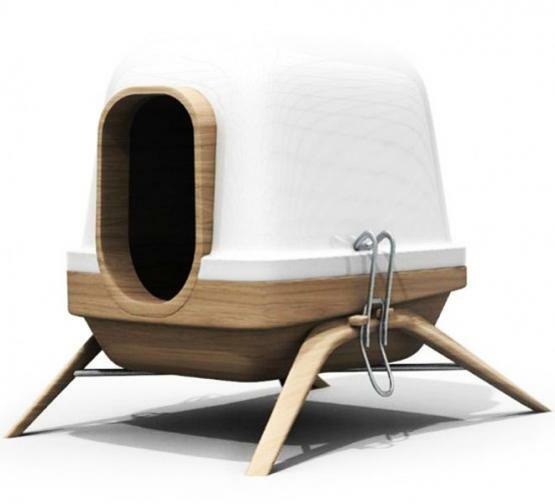 Some dog house designs look classy and familiar, other surprise with futuristic look. 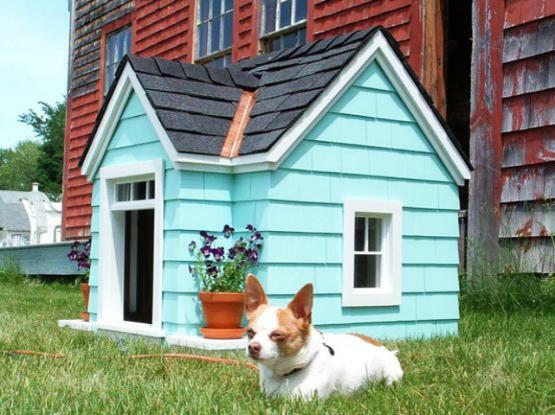 Vintage dog house designs and cat houses in vintage style are very cute and beautiful. 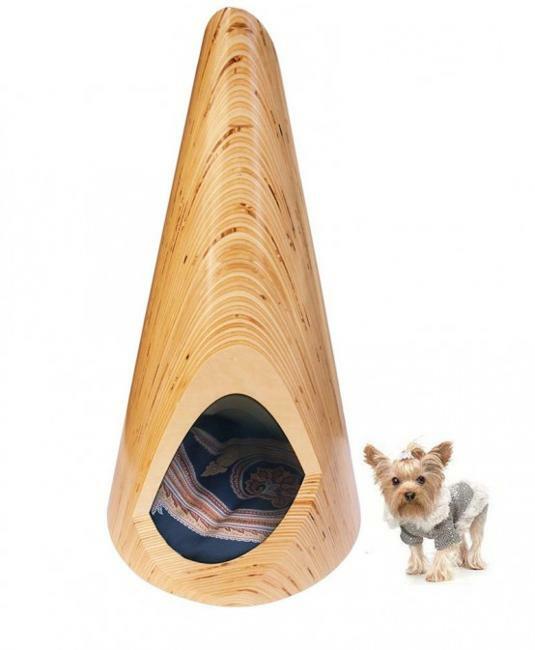 Contemporary pet house designs bring fresh look and stylish vibe into home decorating. 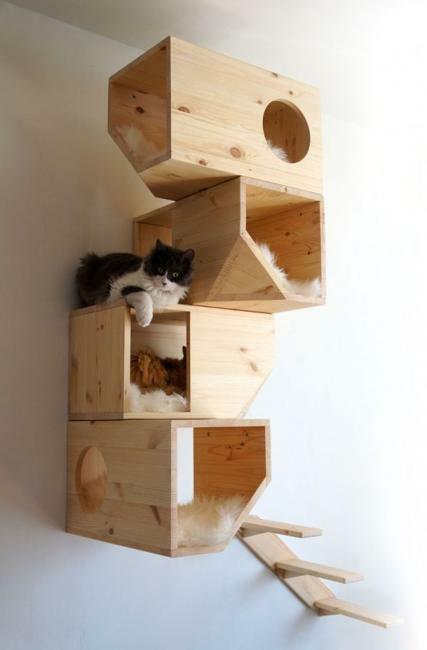 Making cat beds, cat trees or cat houses is fun. 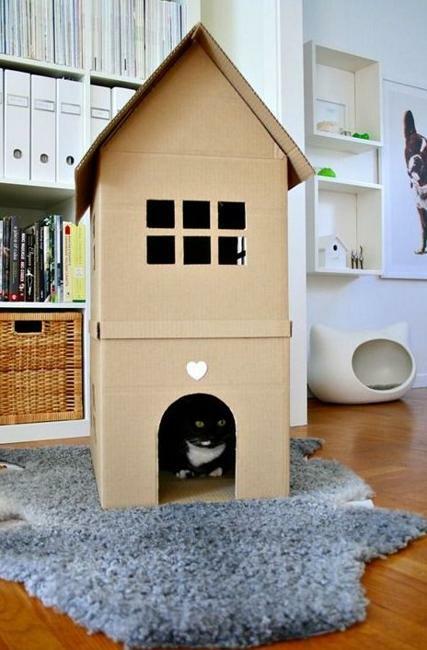 You need very little material to create a beautiful home for your pet. 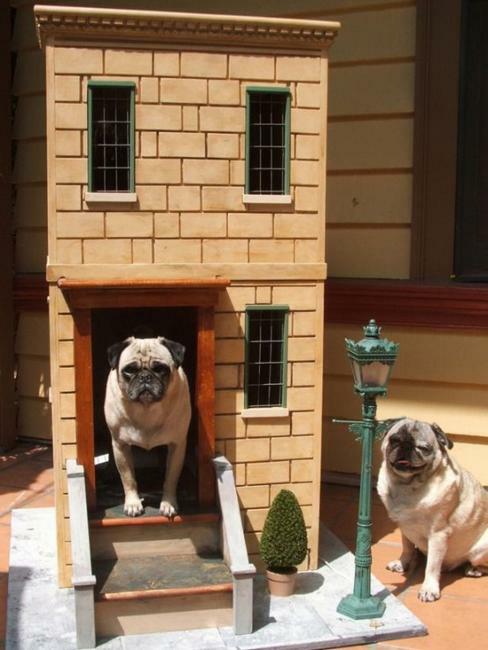 Large dog house designs require more time, money and effort, but still can save you money on designer houses for pets.